This was her first birthday. What a cutie! 2nd birthday....I love that golden wispy toddler hair. You can tell by the look in her eyes...age three is when she started to truly get her "sass" on! 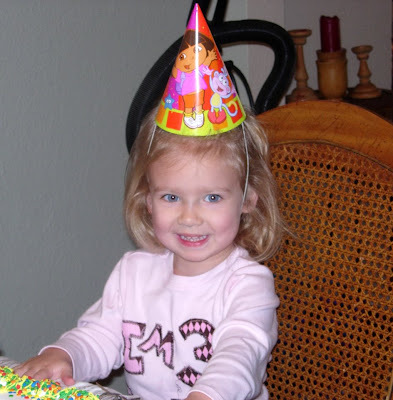 4th birthday. 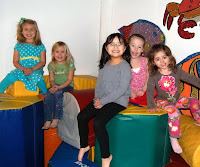 This was the first time she had a party with school friends. 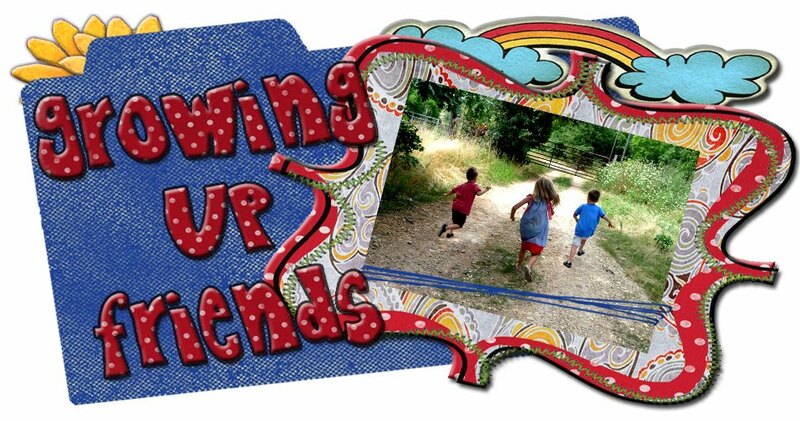 It was so cute to see the developing friendships at age 4! 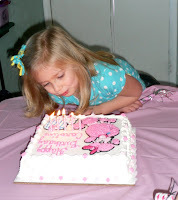 5th birthday...all grown up! She is becoming quite the little teacher these days. I'm still trying to decide if that's a good thing!?! 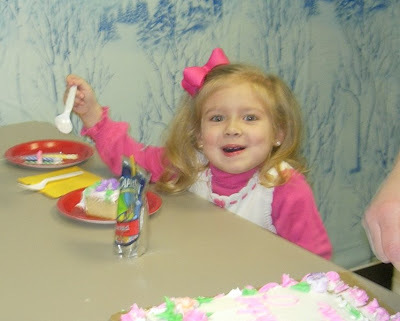 Caroline is sooooo excited about turning 5. She'll be even more excited when she wakes up and realizes that my "stay young forever fairy dust" doesn't work!! I love you sissy. 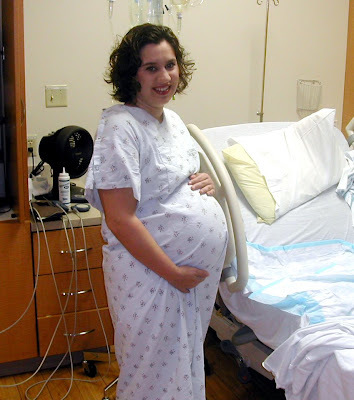 I was anxiously awaiting the arrival of our Caroline Grace. 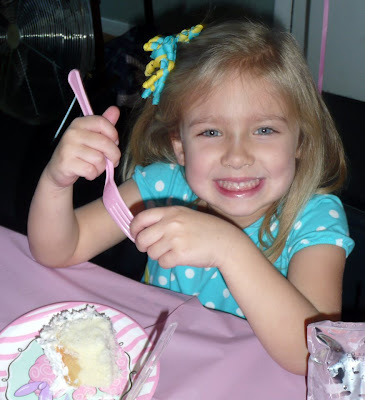 I have a hard time coming to grips with the fact that my BABY is turning 5 this week!!!! I keep teasing her telling her that I'm gonna get out the fairy dust that will make her little forever. Seriously though, 5??????? She was the sweetest, most scrumptious baby I've ever seen. Actually, she still is! It seems as though my baby is growing up faster than the speed of light! Tonight, out of the blue she asked me when she was going to get her adenoids taken out. What? I guess it was just a reminder that she is growing up! 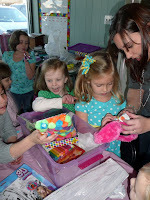 Caroline is turning 5 on Wednesday, and we had her party today. 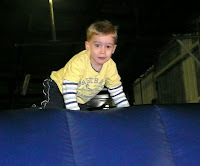 It was at Cheer Xtreme, and a great time was had by all! 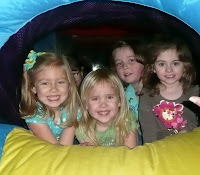 It was so cute to see her with all of her little friends running around, squealing, and having a girly good time! Yummy yummy! She was in awe of all her presents. I could just eat this little one up!! He is just a doll....and so sweet! And Caroline just idolizes Ella, and looks up to her. It is so cute! Mary, as I was going through my pics, I realized I didn't have even one picture of you!! She got a workout hanging out with the boys and playing. Thanks for the help! The boys had a blast, and when it was over Will informed me that he did NOT have plenty of time to play....and that he needed more time. So, I'm guessing he enjoyed himself! 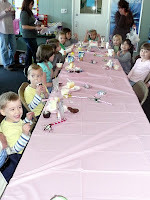 All in all, we had a great birthday celebration and are planning on an early bedtime for the kiddos this evening. They are exhausted!!!!!!! Caroline has recently become OBSESSED with Hannah Montana. So, now when the kids play dress up, she goes with a lovely ensemble like this one, and struts around pretending to be HM. Too cute. Not so cute when we are leaving the house and she wants to go looking like this. NO WAY! 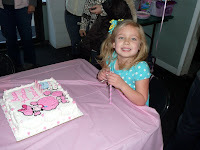 Not my sweet little 4 (almost 5) year old. So she reluctantly changes back to "Caroline" for her real life. The battle over clothes has already begun. My baby cannot grow up! She just can't. Make it stop!.....What's next, halter tops and prom?!? I was just thinking that I have not posted here in forever! Life has just kinda been passing me by lately. We haven't done much except for work, school, and the mundane day to day things. So, no new pics. of the kids. But, let's look at some old ones. Where have the past 5 years gone? It seems like just yesterday (ok--maybe not yesterday) that I found out we were going to become a family of three. My, how time flies, and life just seems to take over! Now here we are 5 years later as a family of five. I still just can't comprehend how lucky we are to have 3 beautiful healthy kiddos. 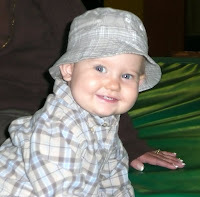 I have loved each stage of my children's lives....but...I think when they were around 12-18 months was my favorite. So, here's a blast from the past! OMG...Why didn't anyone tell me that I had a gargantuan baby?! 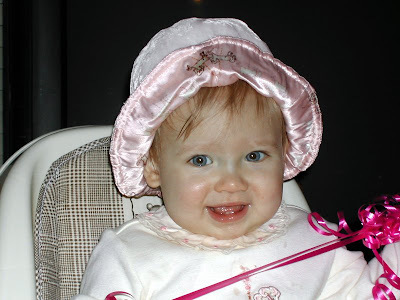 When I look back at pictures of Caroline (she was 16 mos here) I realize why the pediatrician always told me to make sure I am careful with what she eats so she will fit into her prom dress. 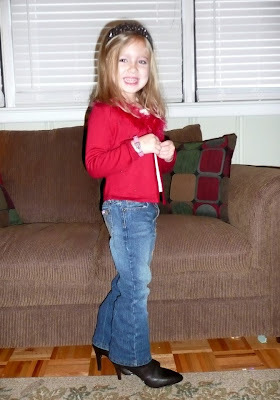 Who knew she would grow into a tall and thin little girl?! Look at the next pic to get the full effect of her chubbiness!! Can you say cheeseburger? 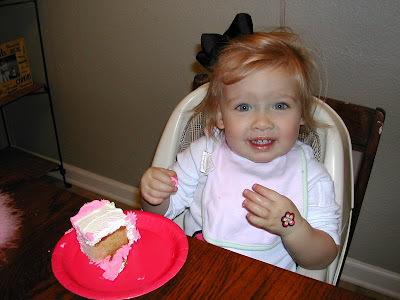 I sure loved this age, and I loved her little "rolls" even more! 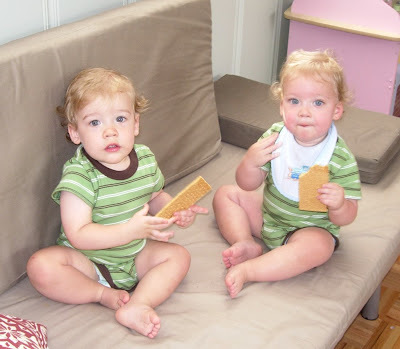 I was already about 3 months preggo with the boys when this pic was taken. 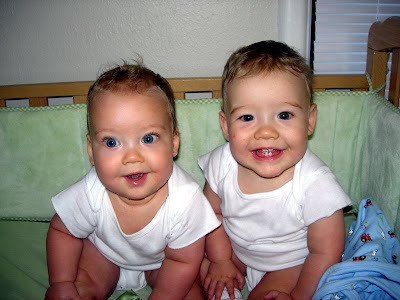 They were 16 months old here. I LOVE their hair here. It makes them look just so sweet. 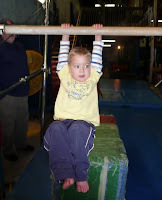 This was before the mobility (and trouble) that goes along with walking! Look at this sweet baby-faced little Evan! 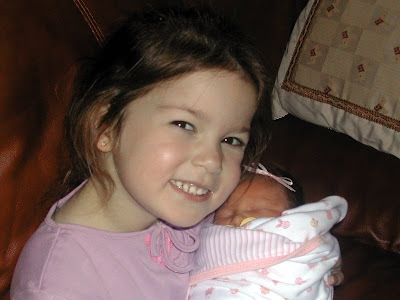 She was holding Caroline, so she was almost four here. 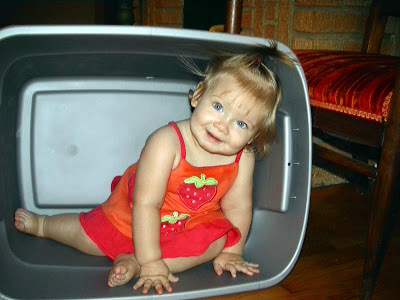 It seems like just yesterday I was going to her birthday party when she turned 1. She was definitely my best practice before I had my own kids! Then ironically, she and Caroline have many many similar personality traits. Ella had just turned 1 in this picture. 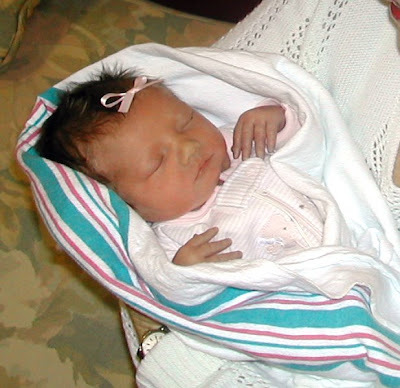 She was such an angel baby. 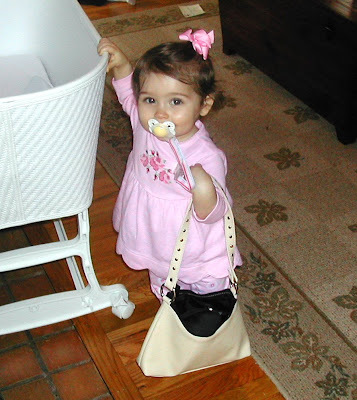 I remember she used to put anything with a strap or a handle on her shoulder like a purse. That's why this pic. cracks me up. So fitting....and the pappy strapped to her (at all times btw)--LOVE IT! 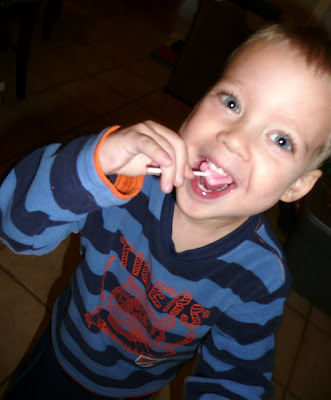 I'm home with Jack today as he is still suffering from strep throat. He's acting a little better, but he's definitely not well yet. 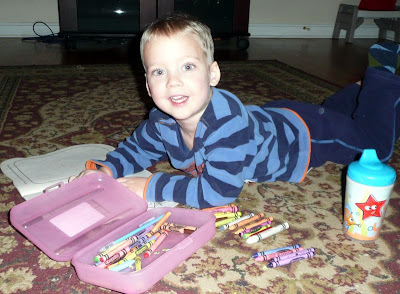 The extent of his playing has been laying on the floor coloring. Then he's right back in my lap. So basically, I've held the little thang all morning. But.....I've enjoyed every minute of it! I will say, Jack is the sweetest sick child ever! He doesn't complain much, and just wants to snuggle. And it is so nice to get to spend some one on one time with him. It doesn't happen very often. When his brother and sister are not around to talk for him, he is quite the little jabber box! Let's just hope we get some sleep tonight....The last two nights have been rough on Tim and I. We've been taking turns getting up with this sick kiddo who has been up coughing and miserable. AND......Will was up a lot last night with a croupy cough, and he was pretty hoarse this morning (although he said he felt good). Let's hope he's not getting sick too!!!!!!! Oh, and by the way.....I'm done messing with my blog layout/background for a good while now. I am in love with this one. Heather should definitely become a blog designer. She fixed this one up for me, and I think it fits me so perfectly. So, no more changes till summer! Thanks Heather! My poor little Jack is burning up with fever! He has strep throat and is just pitiful. We just got home from the pediatrician and he is laying on the couch watching TV....he looks absolutely miserable! Hopefully the antibiotic will start kicking in soon.